We carry a variety of different green tea blends, each of which is meant to offer a specific flavor while giving some of the benefits that the individual herbs are known for. That’s one of the beauties of our herbal tea. We’ve showcased some of the herbs we use in our herbal blends in the past, but let’s spend some time talking about chaparral. The first thing to know about chaparral is that, much like tea, it comes from the leaves of a shrub. Chaparral comes from the arid Southwest, particularly the Baja region of California and Mexico. When you find chaparral in a blend, it’s typically a ground version of dried chaparral leaves. Chaparral is a common ingredient in herbal blends, and those who drink it understand why. If you put the right amount into your drink, you’ll get the perfect amount of flavor and potentially some of the benefits the herb is known for. We wouldn’t include an herb in our teas if we thought it was bad for you! Chaparral has been used for medicinal purposes for hundreds of years. Native Americans in the Southwest originally used the herb to help ease stomach pain, and modern chaparral drinkers might use it for the same reason. However, additional uses for the herb have been realized over time. One of the benefits that users have found is the anti-inflammatory property of chaparral. The herb is used to reduce the soreness of areas that are inflamed. This anti-inflammatory property is one reason chaparral is commonly used in herbal tea blends. The herb is often used to help sore throats, so when you combine it with a hot tea drink you can see why chaparral users opt for a blend with the herb in it! Chaparral has also been used in the past to soothe the pain caused by arthritis, another benefit of the anti-inflammatory agents. The key is to use the right amount of chaparral, something that we’ve been careful to do. Too much chaparral might irritate the body, so we’ve measured out the perfect amount for our teas and supplements. What Does Chaparral Taste Like? If you were to find a chaparral leaf out in the wild, you probably would want to avoid eating it. Chaparral by itself is incredibly bitter; putting too much chaparral in any drink would make it difficult to stomach. Which is why Sir Jason carefully crafted his blend with just the right amount of chaparral. Many people even prefer it to the taste of our sage tea blends. 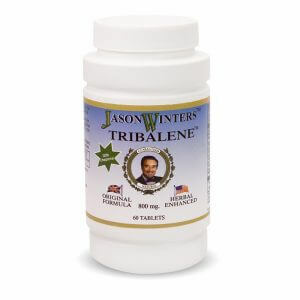 If you’d like to reap the benefits of chaparral, without drinking the tea, then you should definitely try our supplements – particularly the Tribalene with chaparral. 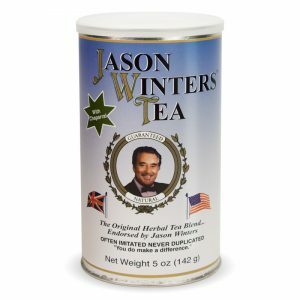 This supplement is made with the same ingredients found in Sir Jason Winter’s herbal tea blend, but packed into an easy to take tablet! *Anyone with any kind of liver dysfunction/disease must always seek medical advice before using any supplement, tea, coffee, etc. Should You Drink Green Tea While Pregnant? Are Prebrewed Tea Blends Good For You?